For the Mahler-anniversary in 2007, BR-KLASSIK has released an audio-biography, which consists of ten exciting chapters about the life of the composer. Jörg Handstein tells Gustav Mahler's story in a colorful, versatile way - both historically correct and thrilling. 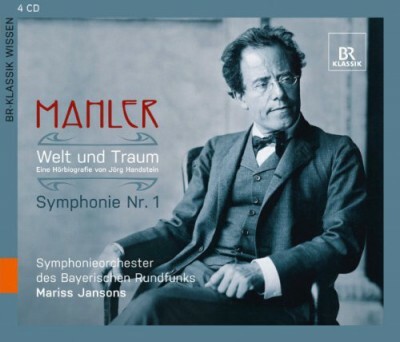 The 4-CD-Box also includes Mahlers Symphony No 1 D major, performed by Symphonieorchester des Bayerischen Rundfunks conducted by their chief conductor Mariss Jansons, a live recording from Herkulessaal Munich in March 2007.